Buckeye Bullet winning the Michael F. Rowland Memorial Handicap on May 13, 2017 at Jack Thistledown. True Cinder wins the Dr. TF Classen Memorial Stakes on May 6, 2017 at Jack Thistledown. Nikki My Darling wins the Southern Park Stakes at Mahoning Valley on March 24, 2017. Coincidentally wins the $75,000 Howard B. Noonan Stakes on April 15, 2017 at Mahoning Valley. Rivers Run Deep wins the $75,000 Ed Babst/Albert Palacios Memorial Stakes on April 29, 2017 at Belterra Park. Cake Pop captures the $75,000 Tall Stack Stakes on May 6, 2017 at Belterra Park. Someday Soon captures the $75,000 Tomboy Stakes at Belterra Park on May 14, 2017. Strike Your Light wins the $75,000 Green Carpet Stakes on May 28, 2017 at Belterra Park. Justalittlesmoke gallops to victory in the $75,000 Mackey-Angenora Stakes on June 3, 2017 at Jack Thistledown. Gone Too Soon wins the $75,000 Sydney Gendelman Memorial Handicap at Belterra Park on June 10, 2017. Leona's Reward wins the $75,000 George Lewis Memorial at Jack Thistledown on June 24, 2017. Justalittlesmoke captures the $75,000 J. William Petro Memorial Handicap on June 24, 2017 at Jack Thistledown Racino. 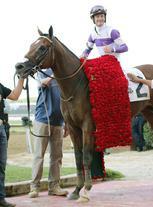 Irap and jockey Julien Leparoux celebrate after winning the 2017 edition of the $500,000 Grade III Ohio Derby. 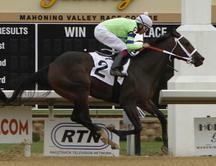 Candy Exchange wins the $75,000 Hoover Stakes on July 8 at Belterra Park. 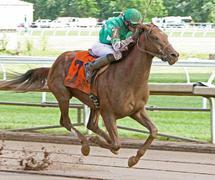 True Cinder captures the $75,000 Cincinnatian Stakes on July 9 at Belterra Park. 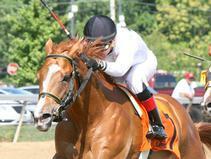 Tango Run wins the $75,000 Miss Ohio Stakes on July 22 at Jack Thistledown. 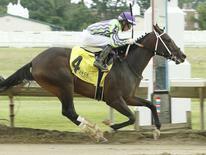 Nikki My Darling wins the $75,000 Norm Barron-Queen City Oaks on July 23 at Belterra Park. Awaken wins the $75,000 Cleveland Kindergarten Stakes on August 5, 2017 at Jack Thistledown Racino. Mayas Queen Neetee wins the $75,000 Vivacious Handicap on August 6, 2017 at Belterra Park. 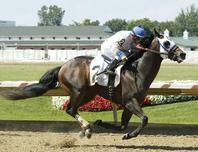 Rivers Run Deep wins the $75,000 Honey Jay Stakes on August 12 at Jack Thistledown. True Cinder wins the $75,000 Horizon Stakes on August 13, 2017 at Belterra Park. 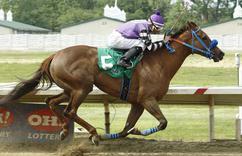 Nikki My Darling wins the $75,000 Pay The Man Stakes on August 19 at Jack Thistledown. 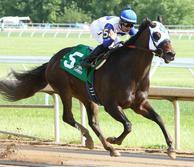 Mo Dont No captures the $75,000 Governor's Buckeye Cup Stakes on August 27, 2017 at Jack Thistledown Racino. 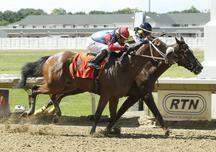 Proper Discretion bests stablemate Katalust in the $75,000 Scarlet & Gray Handicap on Sept. 4 at Jack Thistledown Racino. Pure Justice wins the $75,000 Emerald Necklace Stakes on Oct. 21, 2017 at Jack Thistledown Racino. Mo Dont No wins the $75,000 Cardinal Handicap on Nov. 4, 2017 at Mahoning Valley Race Course. Leona's Reward wins the $75,000 Ohio Debutante Stakes on Nov. 4, 2017 at Mahoning Valley Race Course. 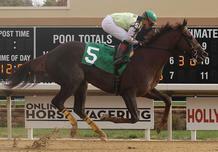 Southern Michief captures the $75,000 First Lady Stakes on Nov. 11 at Mahoning Valley Race Course. No Truer wins the $75,000 Glaical Princess Stakes on Nov. 18, 2017 at Mahoning Valley Race Course. 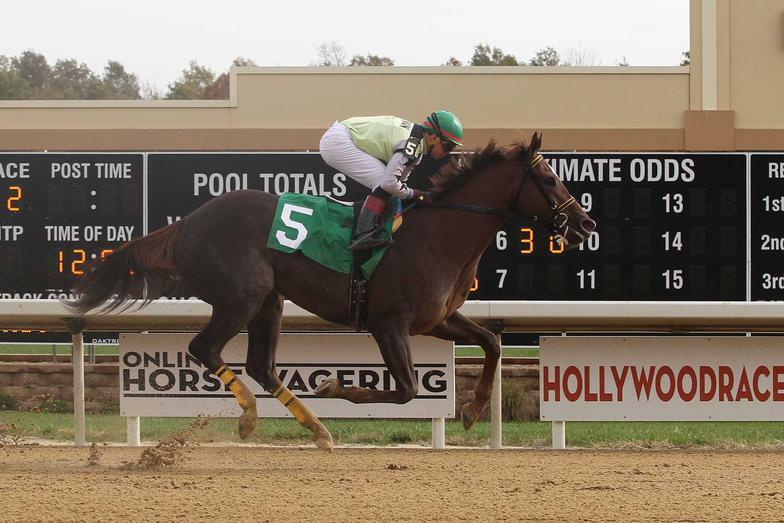 Eighththehardway wins the $75,000 Ruff-Kirchberg Memorial Handicap on Nov. 18, 2017 at Mahoning Valley Race Course. Leona's Reward wins the $75,000 Bobbie Bricker Memorial Hanidcap on Dec. 2, 2017 at Mahoning Valley Race Course. Mobil Solution wins the $75,000 Joshua S. Radosevich Memorial-Ohio Freshman Stakes on Dec. 2, 2017 at Mahoning Valley Race Course.